Looking For The Best Dentist Near Yucaipa? You’ve Found Him! You love Yucaipa – after moving from the East Coast for the promotion of your dreams, you couldn’t be happier with the area. You’re just a short drive from the beach, you’re close to the Joshua Tree, and you can enjoy LA whenever you want. 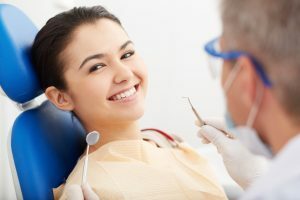 There’s just one aspect of your new life in Southern California that you haven’t figured out yet – what dentist near Yucaipa is right for you. You want someone who’s qualified, experienced, who offers a full range of services, and who’s friendly, too. Who should you see? Dr. Scott Parker has everything you’re looking for in an oral healthcare professional – find out more about him in this post. What Makes Dr. Scott Parker Different? Dr. Parker is a Yucaipa native who loves serving patients from his hometown. In fact, he decided on setting up his office in Calimesa, since it’s less than 10 minutes away from his community and the location is easy to find since it’s conveniently located off The 10. He’s a qualified professional with almost a decade of experience, and is a member of the American Dental Association (ADA), the California Dental Association, and the Tri-County Dental Association. Dr. Parker takes continuing education seriously and is always studying the latest techniques to bring his patients the state-of-the-art-care they deserve. And, he’s a family man who practices what he preaches – as a marathon runner, he takes good care of his own health to set a good example for his patients. He also makes a point to treat each of his patients with the care and compassion he’d give to his own family members. You can tell by his 5/5 star ratings in online reviews that people love working with him. Can I Afford To See Dr. Parker? Yes! We aim to make quality dental care affordable for every patient. We’re always happy to submit claims for you to help you get the most out of your insurance benefits, and we offer third party financing for those who may be worried about gaps in coverage. If you have questions about how to cover the costs of your visit, give us a call – we’d love to talk with you to explain our options. Now that you know why Dr. Scott Parker is the dentist for you, schedule your appointment with us today to keep your teeth healthy and bright!